Poached eggs have always been a challenge for my husband and I to make, but after reading a blog post by Pinch of Yum, I suddenly became much more confident! Ever think of making poached eggs by using a mason jar metal rim? I hadn’t. From now on, it will now be the only way I ever make them! Oh, and no vinegar is involved! 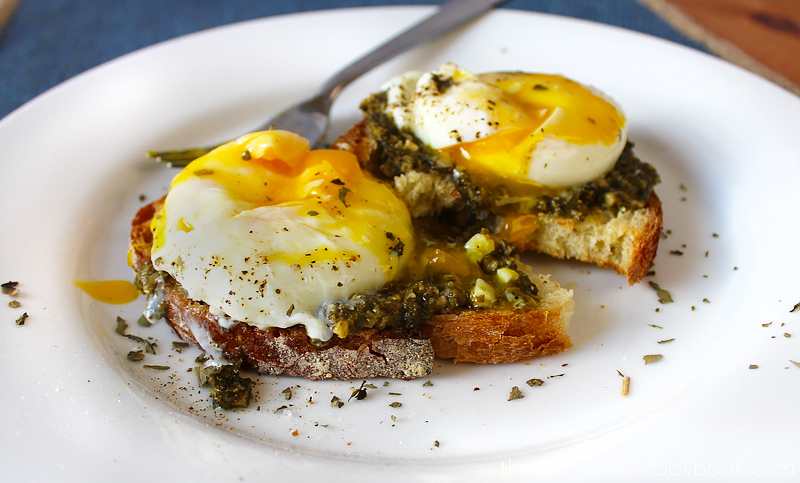 The textures in this poached egg and pesto toast work so well together. 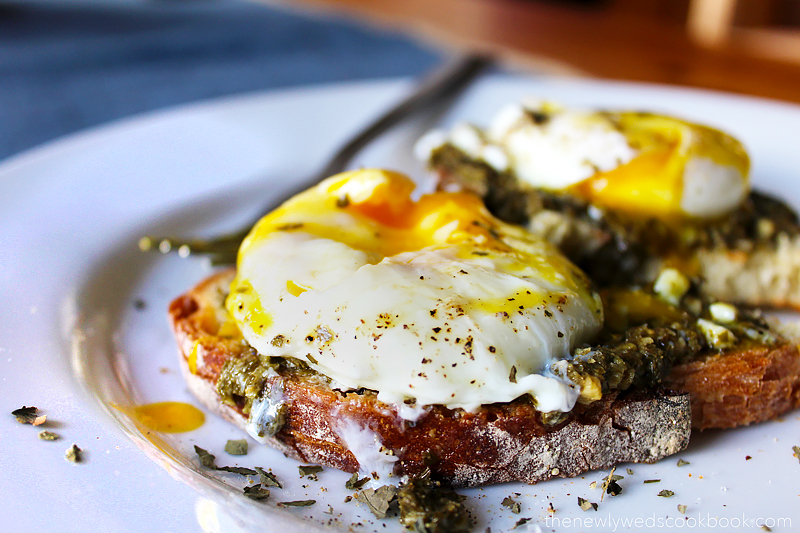 With just one bite, you get crunchy toast, a very flavorful pesto spread, and a perfectly soft poached egg all at once. So, so good. 1. Bring a pot of water to boil and place the two mason jar metal rims at the bottom of the pot. 2. Once boiling, turn the heat off and crack your eggs and drop into the water so that they land inside the mason jar rims. 3. Place the lid on the pot and let the eggs sit there for about 4 minutes. 4. Now, you can slide your spatula under the mason jar rim and bring up your poached eggs out of the water. 5. 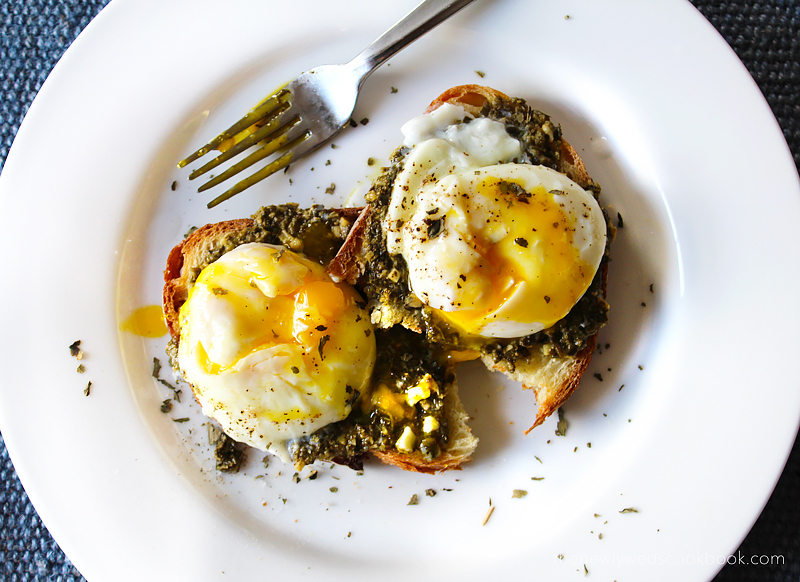 Spread your basil pesto over toasted bread, place the poached egg on top, and then sprinkle with dry basil, salt and pepper.